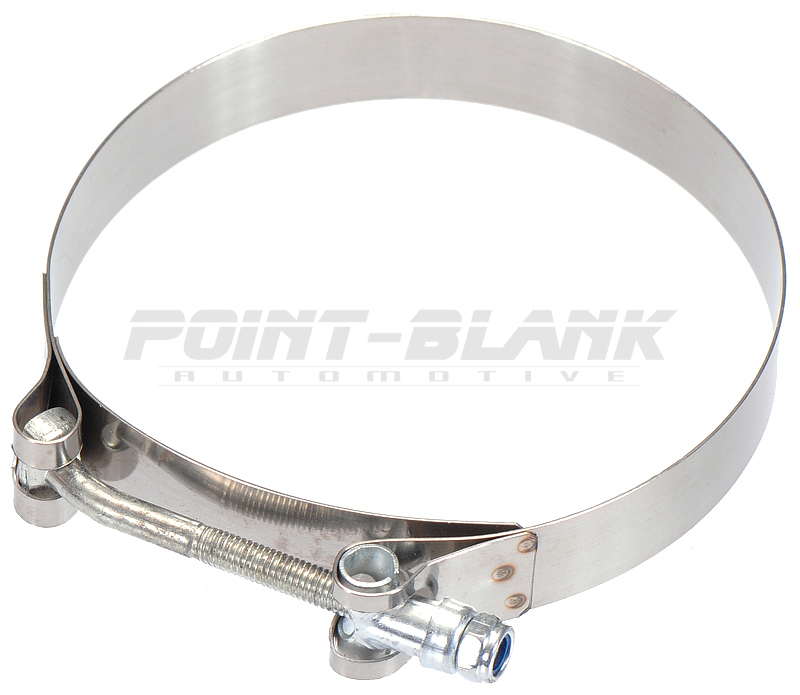 Stainless steel t-bolt style hose clamp with 19mm wide band, designed for high performance applications. Suitable for use on typical 5" ID silicone and rubber hoses. Also features high-tensile nickel plated t-bolt and locknut.